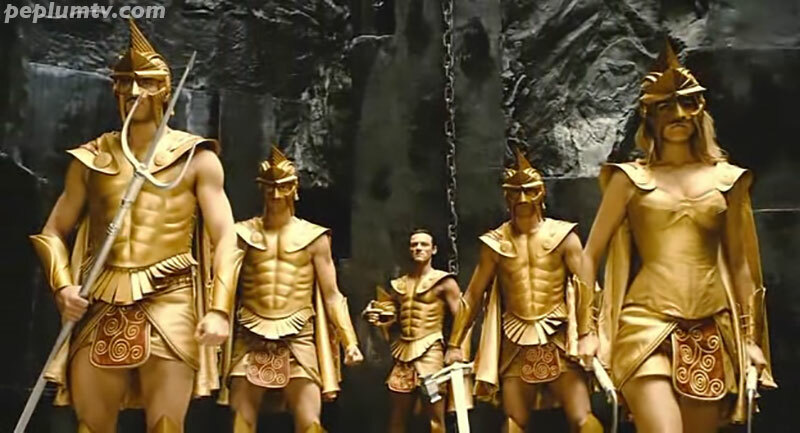 That's Kellan Lutz as Poseidon (left), Isabel Lucas as Athena (right) and Luke Evans as Zeus (far back). The film sorta made some money but it was too, eh, 'esoteric' for most people so don't expect any sequels. I personally didn't care much for it even though some of the visuals were cool. The way these gods descend from the heavens is sorta like THE MIGHTY MORPHIN POWER RANGERS. Also known as Lost Treasure of the Incas and Hercules and the Treasure of the Incas. 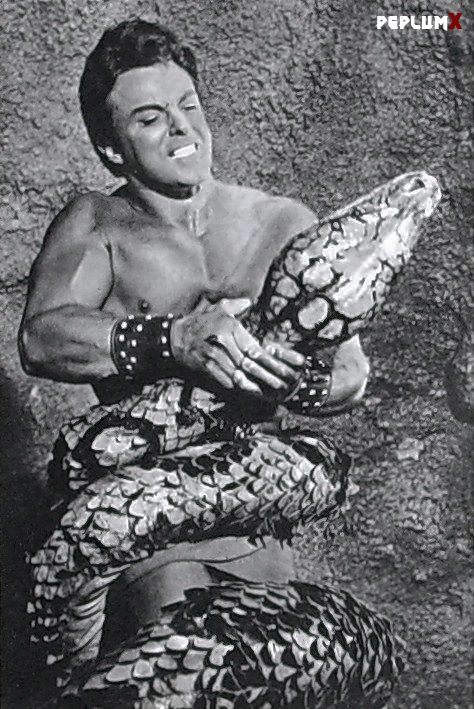 In some version Alan is named Samson with the title of Samson and the Treasure of the Incas. 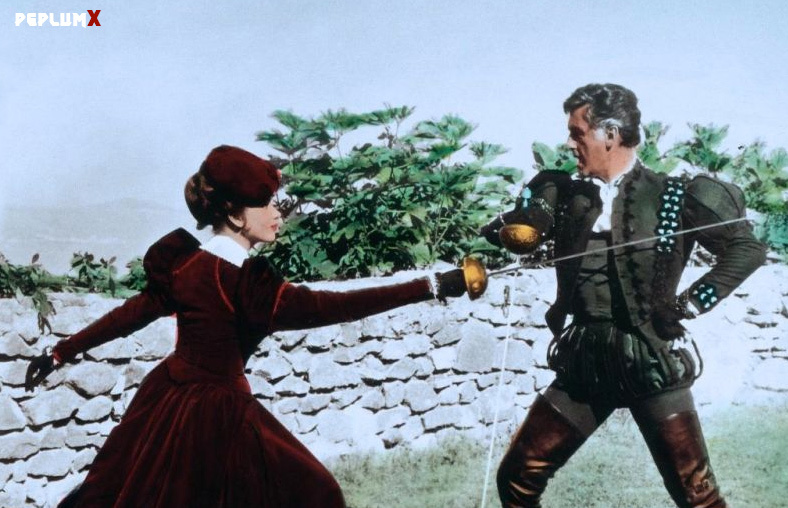 The best PEPLUM Western ever made...well it's one of the few PEPLUM Westerns made in Italy. Those rich reds adorning paintings in Pompeii were originally ochre — Italian researchers say they now think that sensuous Pompeian red is the result of an accident. Researchers at the national science council (CNR) say the original signature color at the ill-fated city of Pompeii was probably yellow – ochre to be specific. Before Mount Vesuvius blew its top in 79 A.D. and buried the city, it emitted high-temperature gas which turned the original yellow color that dark red. 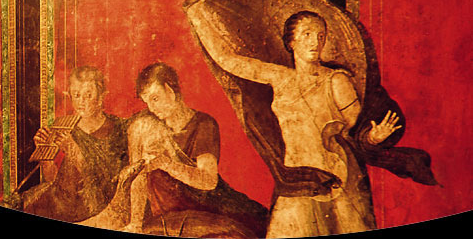 It’s not an entirely new discovery – ochre was also the main color at Herculaneum, sister city also buried by Vesuvius. 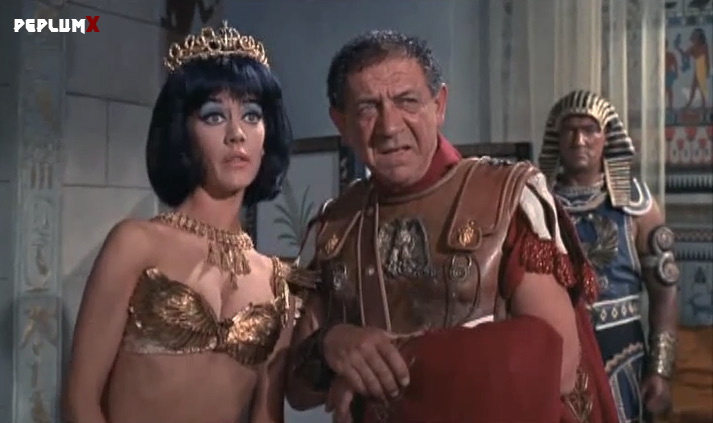 I always thought that having Barry Jones as Messalina's husband was miscasting. Not because he's bad in it. 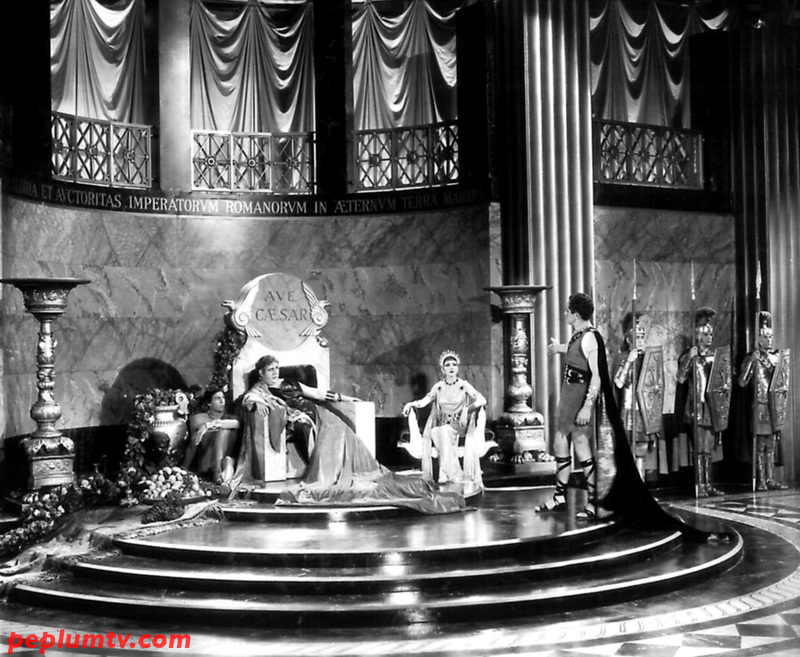 In fact, he's probably the best actor in the film but I just can't imagine Messalina marrying someone like him, power or no power. It doesn't help that he's the only British actor in the film and his accent sorta clashes with the rest of the US actors. But he was excellent in his role nonetheless. I uploaded my Fan Dub version of the film to my PEPLUM TV Youtube channel last Friday but then removed it after someone mentioned the film is downloadable somewhere else, meaning the film is still copyright protected (by MGM) and I didn't want to get a strike from the painfully trite folks from Youtube. It's a shame 'cause it was a nice edit. Thank god for PEPLUM films of the 1980s, which gave good actions roles to Pietro who always played secondary roles in films from the 1960s. 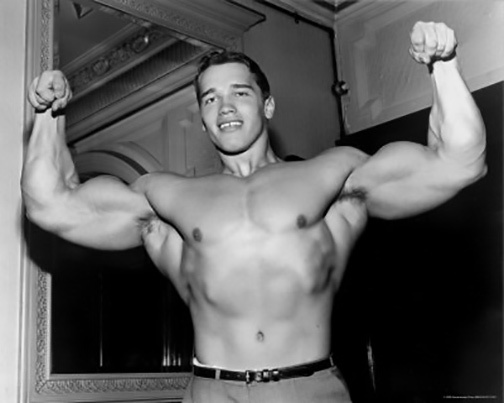 He was still in great shape even after appearing 20 years prior in PEPLUM films of the golden era. 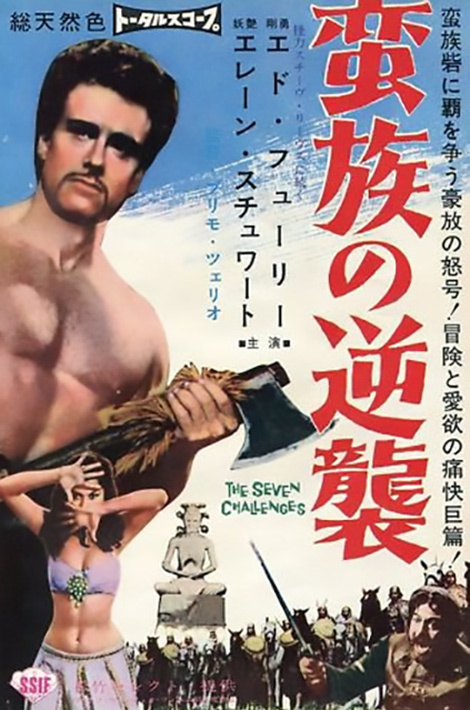 Most of the films are terrible but they're fun to watch regardless, mainly for a couple of reasons: the level of cheesecake and beefcake was high! I'm taking some time off next week. I should be back on October 27th. I hope you like the new format of the blog. I know I do. 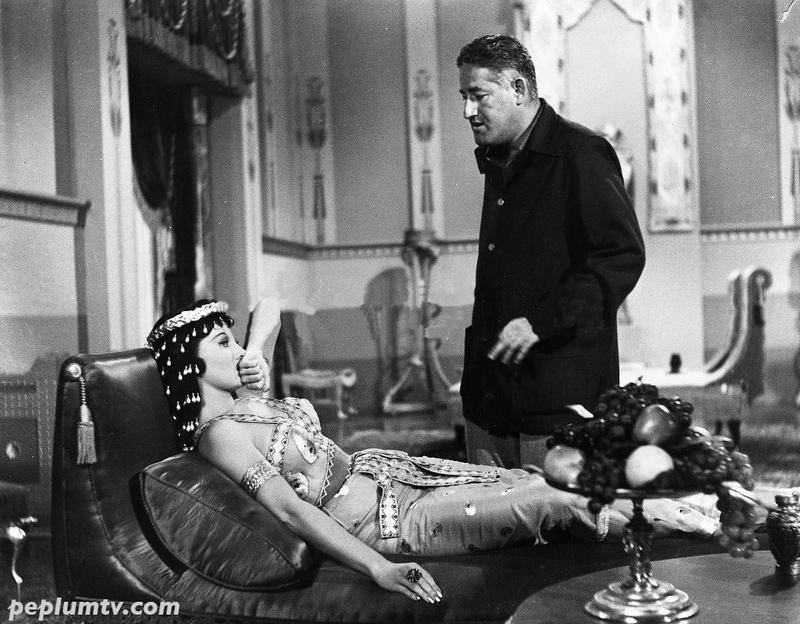 William Castle helps Rhonda Fleming with a scene for SERPENT OF THE NILE. Love this photo. Castle was slim here. 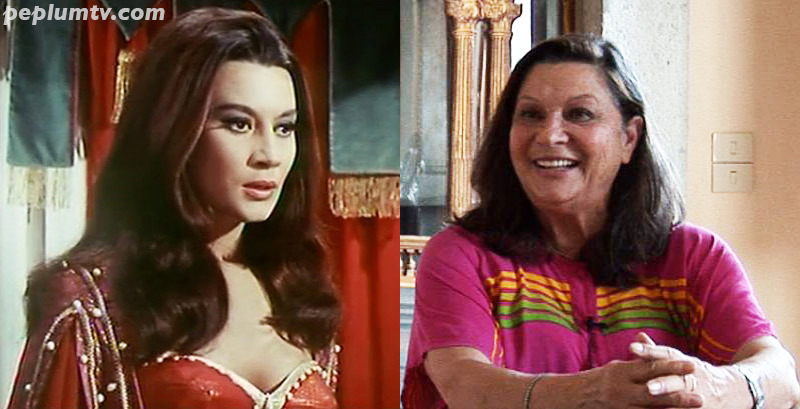 Silvana plays a dual role in ULYSSES. 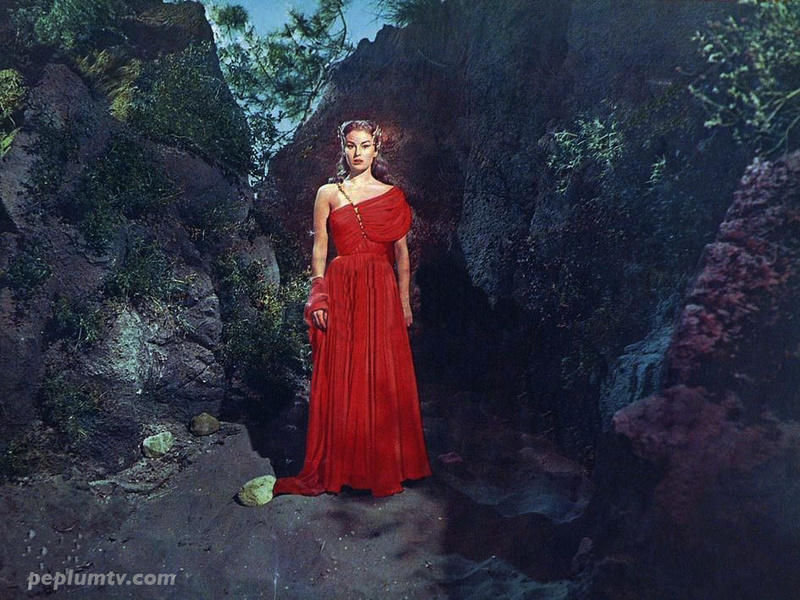 She's Penelope and Circe, which, IMO, eclipses Kirk's input in this film. 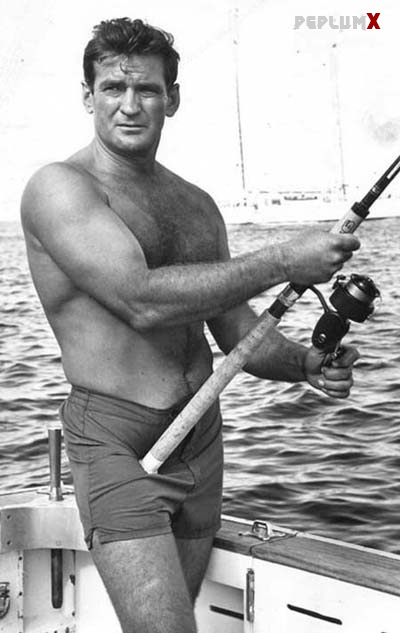 Kirk is good but miscast. He was too scrawny. 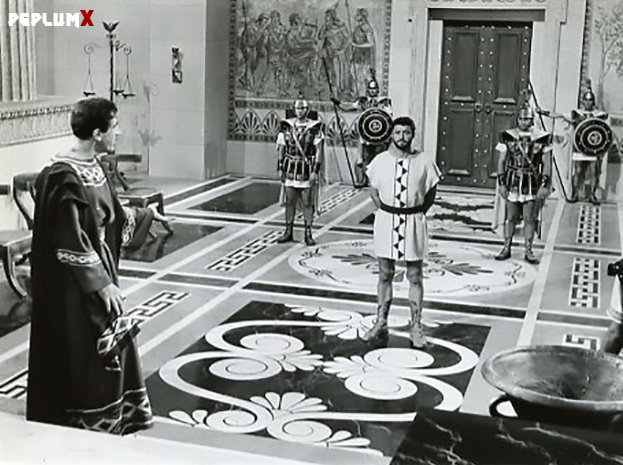 Bekim Fehmiu was better as Ulysses in the TV mini-series. 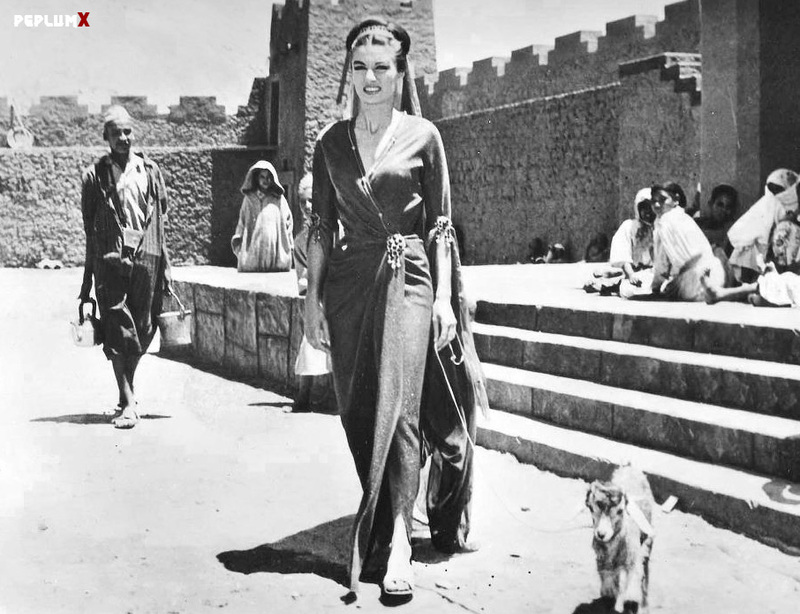 But Silvana was magic in this. A great and rare glimpse of Sylvia Lopez giving an interview at the height of her career. The interview is in French and it's great to hear her original voice. 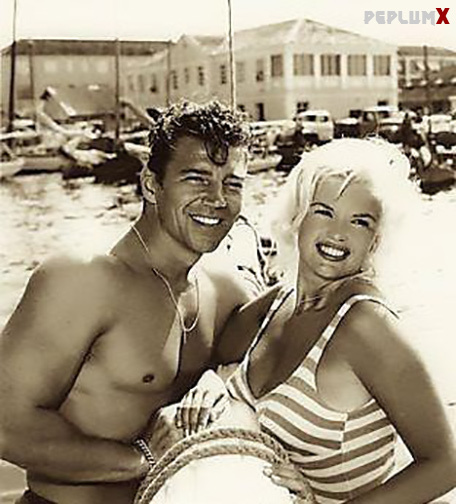 In the interview she says that her mother was Russian and her father was German...she was fluent in 5 languages and when she made films with American actors like Steve Reeves she said her lines in English to make it easier for the actors. It's a shame she died so young, at the age of 27. She died the same year she made this interview. I created the first (and I believe still the only) tribute on Sylvia in 2010. See below. I like this even if it's very simple. There's something off about Ed Fury's head though. Rarely seen fun film! 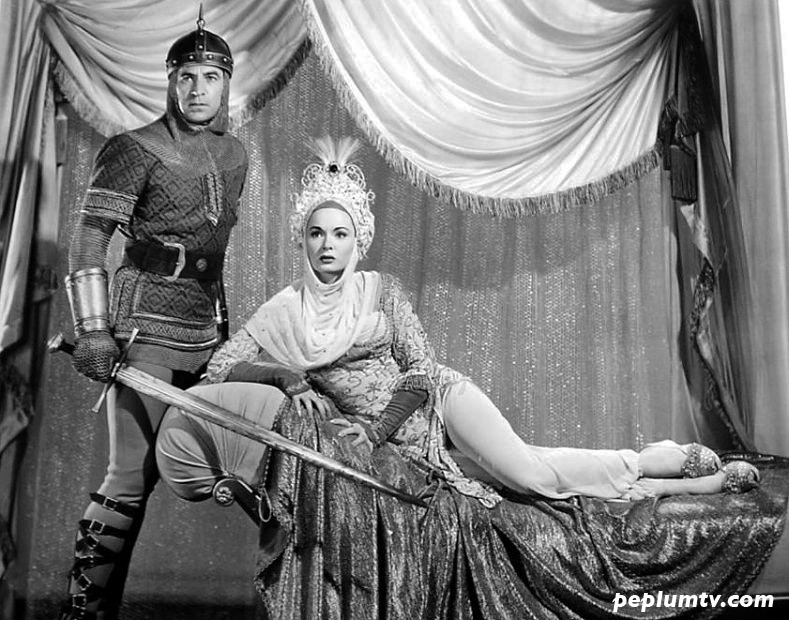 Two of my favourite PEPLUM genre stars, Georges and Alessandra, in a fun Swashbuckler also starring US actor George Nader. Georges has the secret mark on his forehead. Good for a rainy weekend afternoon. 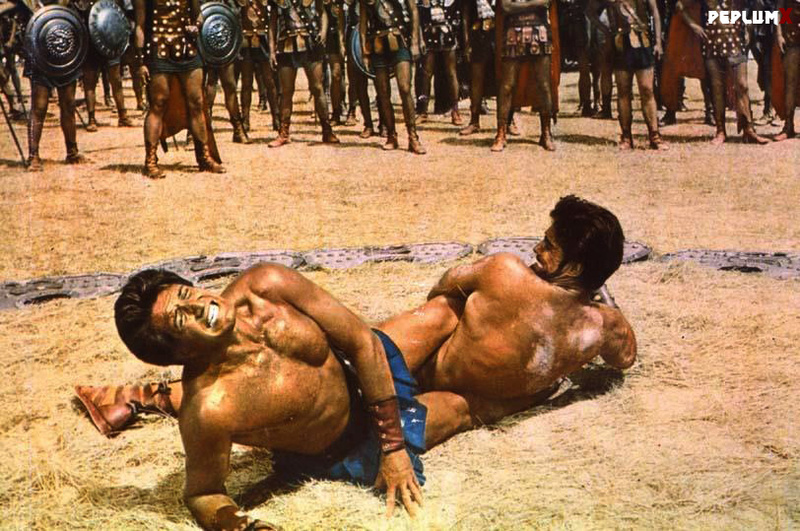 Wrestling match between titans, Hercules (Steve Reeves) and Antaeus (Primo Carnera) as Iole (Sylva Koscina) watches on in HERCULES UNCHAINED. Classic stuff. Fun film with one liability: it's way too short at 77 minutes. It's a typical 'B' production of the time but with solid production values and a truly robust score. This film is perfect for a drinking game : take a shot every time someone says Samarkand! Very entertaining. Such an odd film. 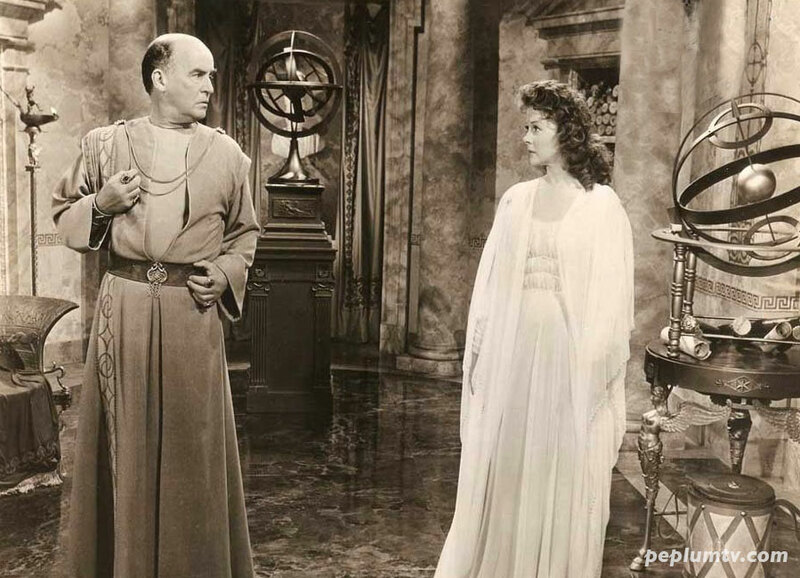 Definitely not Biblical even if it's a Cecil B. DeMille film. 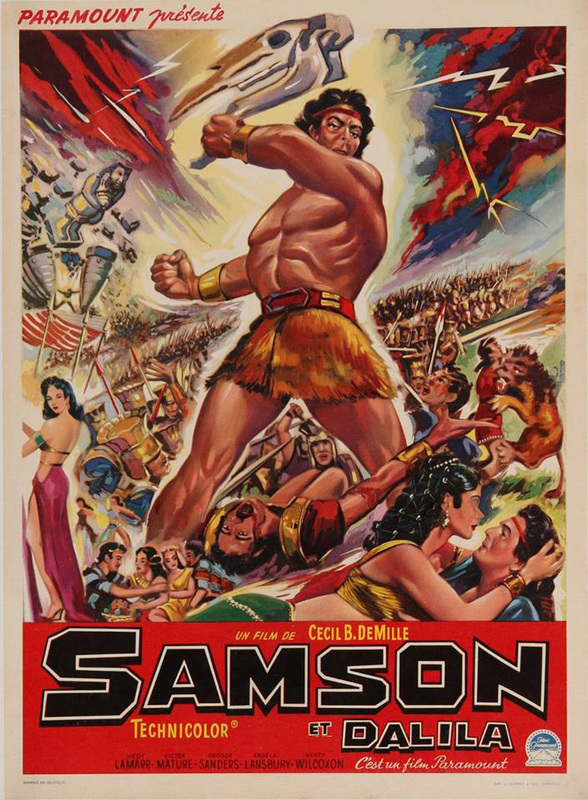 It's definitely more PEPLUM in tone than Biblical but it's definitely set in the period it was made, the 1930s, a period with few genre films. 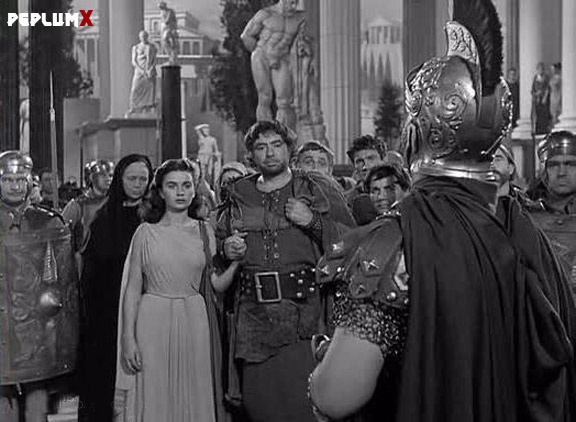 The near naked man (True Boardman) next to Nero is his slave. It's something you don't see in any other PEPLUM film which gives the film a unique quality. 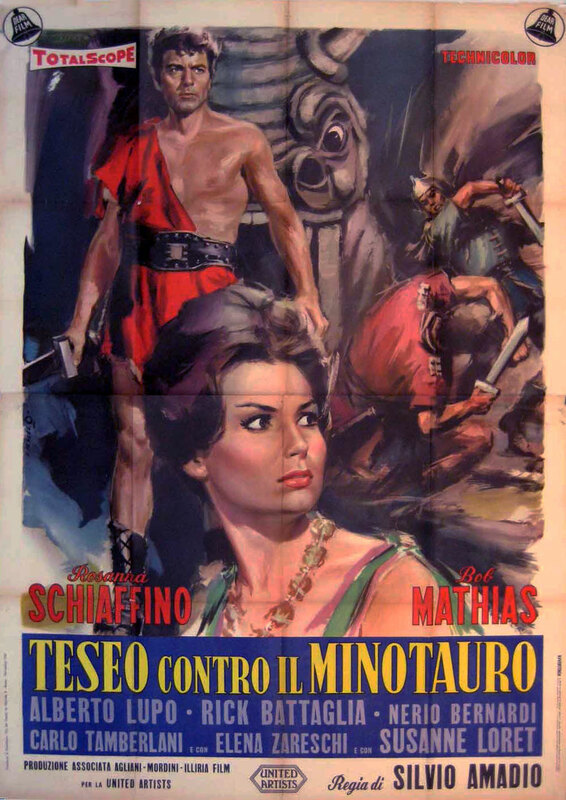 I believe this is the poster from the re-released after the success of HERCULES, which this poster borrows from. 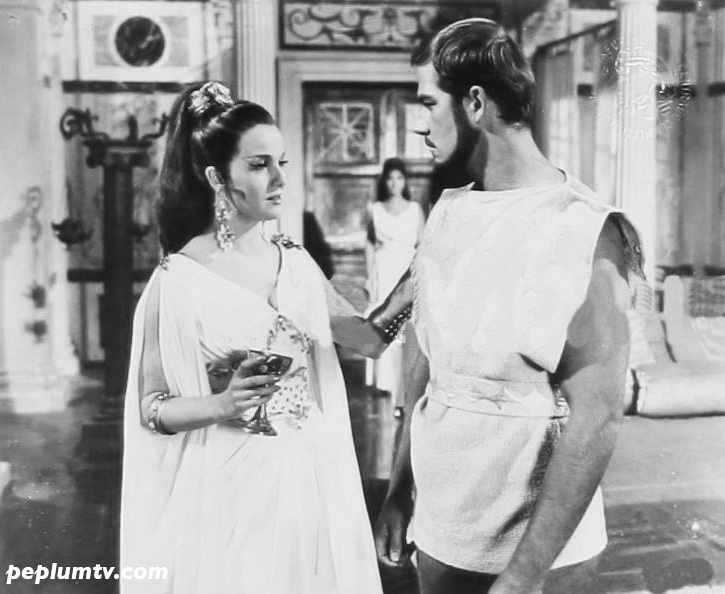 Messalina (Lisa Gastoni) tries to get Glaucus (Richard Harrison) to do her bidding in THE LAST GLADIATOR (aka Messalina against the Son of Hercules). Lisa is great in this. Directed by Umberto Lenzi, who would direct tons of horror films later in the 1970s / 1980s. 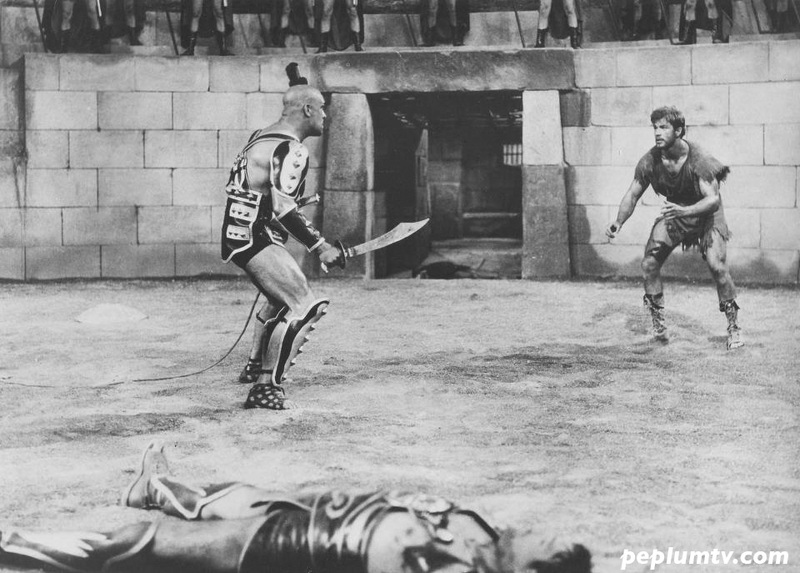 Cool scene from HERCULES VS MOLOCH : Gordon Scott vertically walks up a prison cell. 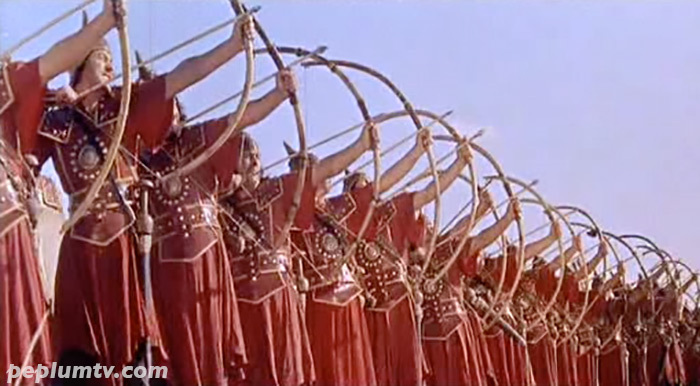 A fairly standard scene in a PEPLUM film, always followed by shot showing a swarm of arrows flying in all directions. 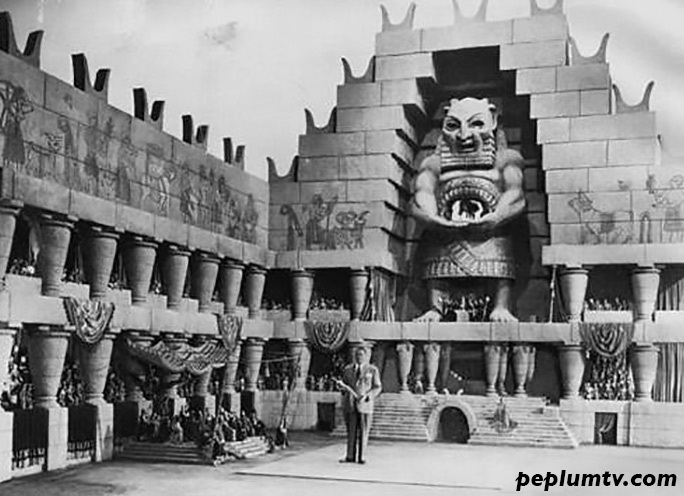 Large scale model for the ending in SAMSON & DELILAH. Cool stuff.